What is SQL Attach Error 15105? Quick Solution: If users are aware that there is corruption in their BAK file, then they can opt for a third-party application named as SQL Backup Recovery Tool. One of the major reasons is Virus attack due to which such types of error is generated. The Windows Operating System (OS) corruption also may cause SQL server backup error 15105. The destination where users try to keep their database backup files because of the lack of available space. The registry issues and innumerable startup entries may cause an SQL error 15105 attach database in SQL server. If users have copied a backup file to the different machine, then the particular system may block that file due to the security logic. The main Problem with software application where it is not properly installed and configured. Go to the desired location where the original folder is shared. Then, right click on a folder and choose “Sharing and Security” option from the drop-down menu. From there you have to choose the “Sharing” tab and click on the “Permissions Settings”. The account that you want to utilize for the backup purpose, assign full access permission to that target account. If you are running under SQL server service account, then provide full access permission to the domain account. Once all the necessary accounts and privileges are added, then click on “Apply” button and press “OK”. After that, click on the “Security” tab and add the specific account for which full permissions are granted. Now, you have to give the suitable privileges to that account. Now in order to resolve SQL attach error 15105, click on “Apply” and then “OK” button. Finally, you must try to take a backup, there might be some chances to get SQL attach error 15105 resolved. Sometimes the manual process is quite lengthy and time-consuming thus, users are unable to fix SQL server backup error 15105. Moreover, this approach does not provide useful results, due to corruption in SQL backup database file or the source from where it is backed up, and this may lead to inaccessibility of backup data. To overcome all such limitations of the manual approach and resolve SQL error 15105 attach database, users can take help of third-party tools. One such application is discussed in above section. It is designed in such a manner to fix corruption issues in SQL backup file. It is strong enough to restore deleted or lost SQL database table’s data. 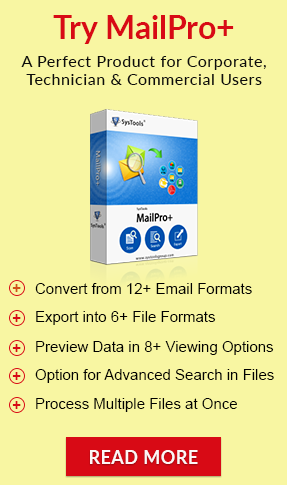 Another impressive feature of this software is that it allows selective backup file item export. It has a friendly interface that even a novice user can use it without much effort. After considering all such reasons behind SQL server backup error 15105, we have covered a direct manual solution in detail. However, manual solution does not produce the satisfactory results. Thus, we have also recommended a third-party tool, by which users can retrieve the database from the corrupt state without any hassle. Also, we have discussed all the unique features of the tool in an absolute way.